On net, is MCAS beneficial or detrimental? 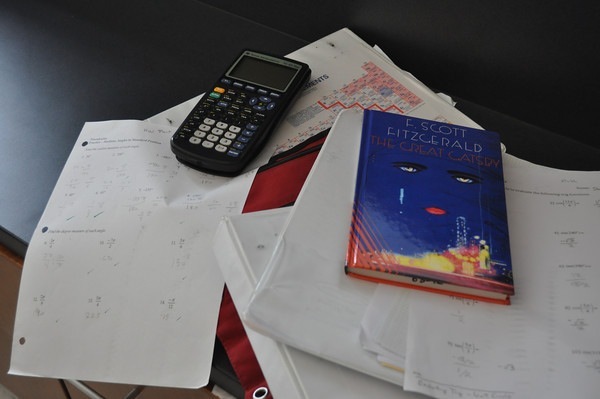 Read two WSPN staff members’ views on the state-mandated standardized tests. Live, love MCAS. MCAS is very beneficial. If we listed all the reasons why we love MCAS, this article would never end. But we will just list the top reasons why it is so valuable. To start, it gives kids a stress reliever with the break from homework. During the time period of MCAS testing, teachers are not allowed to assign homework or give tests to students because students must focus and rest for MCAS. High school can overwhelm many kids. The work never seems to stop, and breaks are few and far apart. Having MCAS means teachers cannot assign homework, so during exam days, most teachers will only tell students to rest and eat well. These are healthy habits that students should have all year, but stress from school often makes them impossible to retain. MCAS gives students the chance to take care of themselves and relax. MCAS also helps kids practice test-taking skills but in a stress-free environment. Teachers always expect kids to come into their classes knowing how to take a test efficiently. However, teachers do not dedicate much class time to teaching students how to do so without making mistakes. MCAS is the perfect outlet for students to learn these necessary skills. Without the immediate consequence of a bad grade and devoid of a time limit, students can practice answering all kinds of questions that they could see on future tests. In addition, MCAS improves the quality of the teaching at our school by making sure students are learning from their teachers. Part of the reason the state of Massachusetts administers MCAS is to assess whether or not students are actually making the most out of their education. If everyone from one school does very poorly, then the state will know that that school needs to improve. So, MCAS is useful for gauging a school’s quality of teaching. Having just finished the last MCAS we will ever get to take, we are feeling sad. We’re looking back to our first MCAS in elementary school when we thought we were going to fail. We realize that back then, since we never took many tests, our first MCAS was so stressful because we were so inexperienced as test-takers. However, each year we got more confident, and tests overall became more comfortable. We felt as if we could handle them rather than being overwhelmed. MCAS was the pathway to turning us into good tests-takers. It gave us that important skill, so we must be forever thankful for MCAS. Never under-appreciate the importance of MCAS. Most kids only dislike MCAS because it’s an extra test, but the truth is, MCAS gives so much more than it takes away. It’s not just a test – it’s an experience. Don’t stress! MCAS is all about giving it your best effort. So next time you take an MCAS test, smile instead of frown. Students have tons of free time to sit back, relax, enjoy friends and family and pick up new hobbies. Said no high school student ever. Between demanding athletic schedules, final exams, essays and projects, students are up to their heads in stress during the spring. So why not add to the list a statewide test that doesn’t impact our grades in the slightest? Massachusetts students are required to take the Massachusetts Comprehensive Academic System (MCAS) exam in the spring, typically in mid-May or early June. MCAS requires students in various grades to be tested in English and language arts, mathematics and science. The purpose of the assessment is to track the progress of individual students through required material for Massachusetts curriculum. Since my first MCAS test in fourth grade where we were required to write a long, comprehensive essay, I’ve been told by many teachers that MCAS doesn’t test the student’s knowledge, but rather the teacher’s effectiveness. Although MCAS may be beneficial for teachers who want to determine which material students need to improve on, it’s not fair to the students. How can anyone read three different stories and write four essays showing their best work within two hours? The time limit on the test doesn’t allow students to represent their best writing skills. Almost every English teacher I’ve ever had has told the class, “You must start your essay in advance. You can’t write one overnight.” It’s obvious that even teachers know it takes time to write a well-crafted essay, time which we simply do not have during MCAS. Secondly, we students are fully aware that MCAS doesn’t impact our grade, which gives some students very little motivation to try. I mean, all we have to do is pass, right? How important can MCAS be if teachers don’t even take time out of class to prepare us for the assessment? I can’t remember the last time a science or math teacher reviewed important concepts that would likely be on the test. We, students, go into MCAS without a clue as to what kinds of things could be on the test. Geometry? Calculus? I guess we’ll find out when we open the booklet…the booklet that covers topics in which all students across Massachusetts should have learned, no matter what level they’re in, right? High schools offer different course levels that provide a range of coverage for the subject. How is it fair that a student in an introductory class takes the same test as a student whose teacher covered topics in much more depth because they are in an honors course? MCAS is a test that does not give the student enough time to show their best work, stresses them out for no reason and ultimately has no impact on their grade.